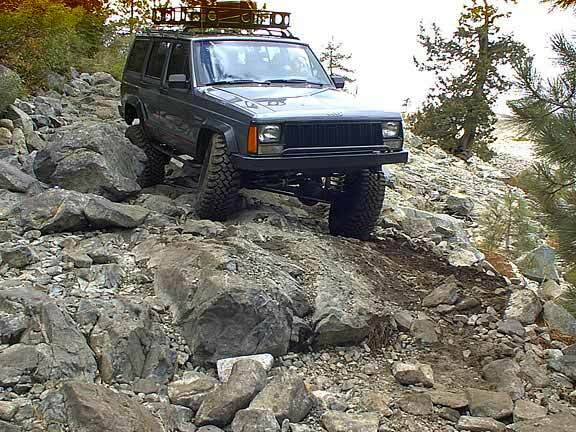 Amy, my brother Derek and I camped on the Fordyce trail over labor Day, rather accidentally. 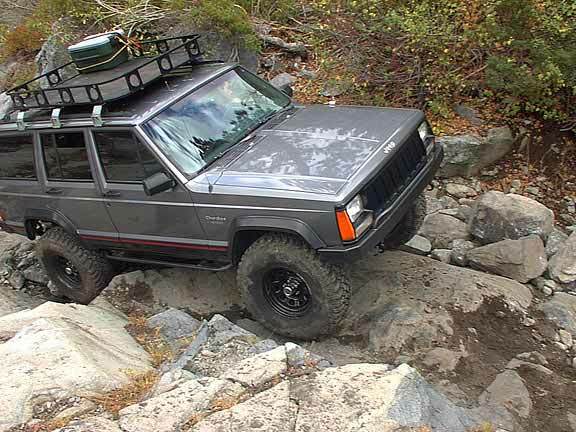 We knew we wanted to camp in the area, and saw some Jeep roads on our lousy map, but had no idea we'd be traversing the first 5 miles of Fordyce in the pouring rain! 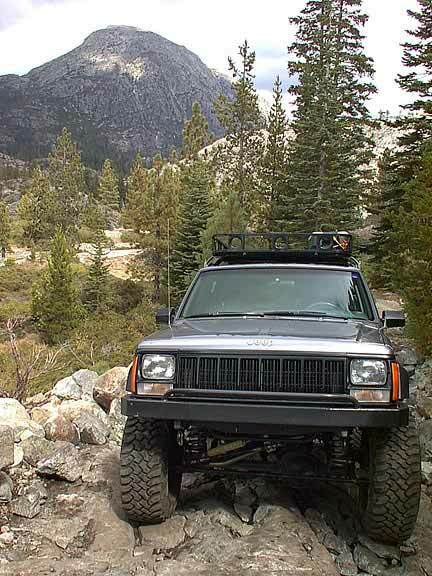 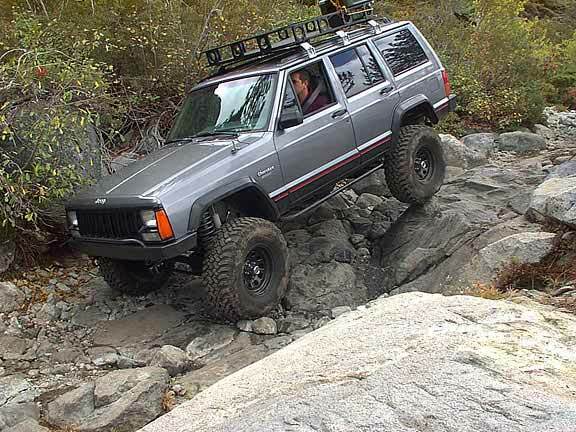 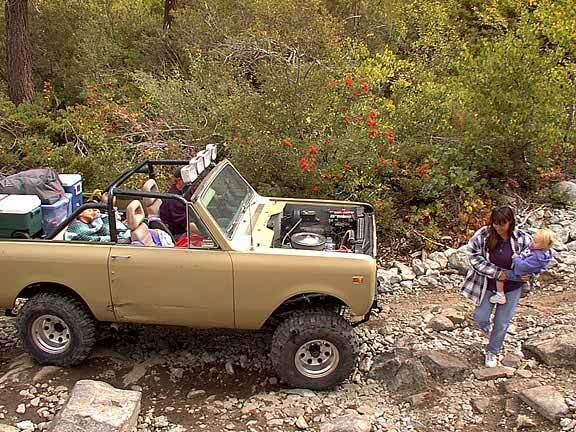 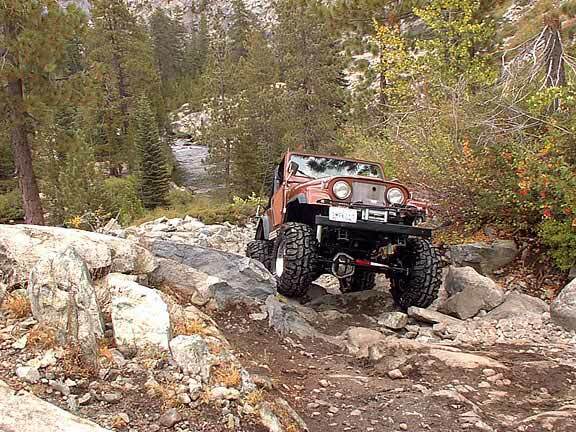 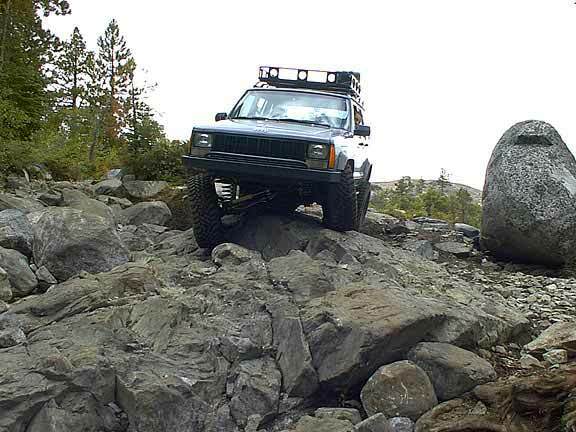 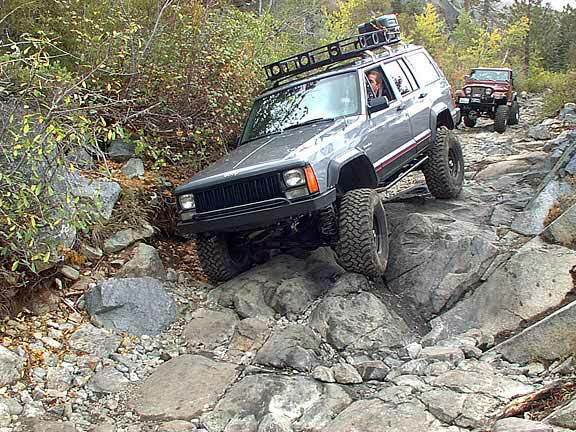 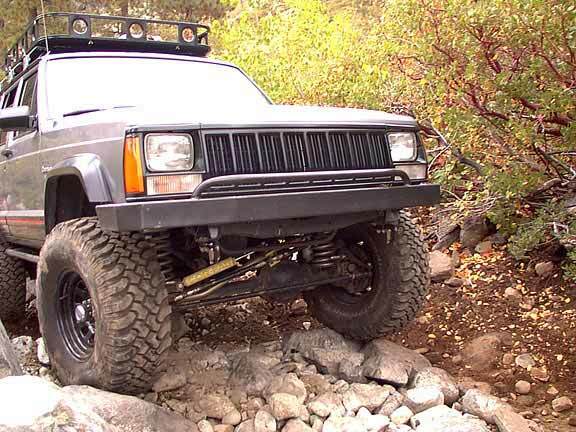 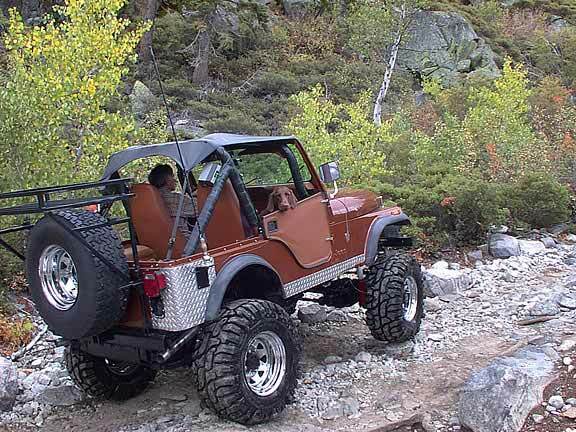 The wheeling is very rough on this trail, which is ranked by many as tougher than the Rubicon. 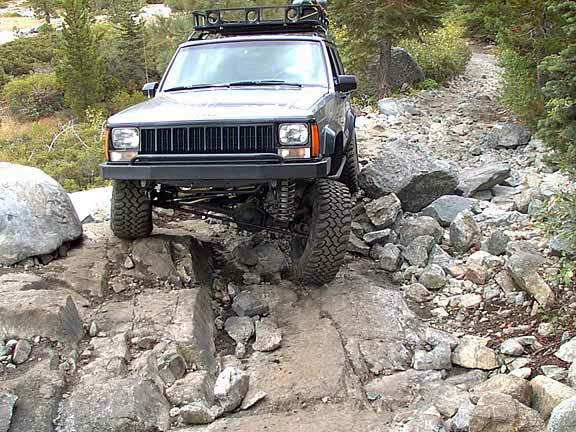 Every Jeep that passed us had major body damage, and it's no wonder considering all the huge rocks and tight spots on the trail. 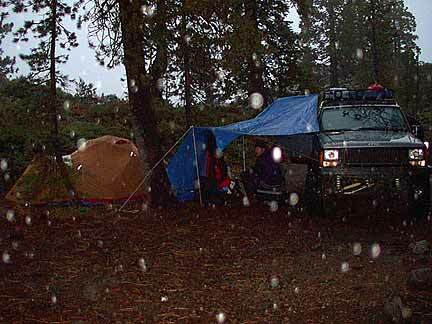 When wet, it can be pretty scary, especially if you're traveling solo and at all concerned about making it back out to the interstate. 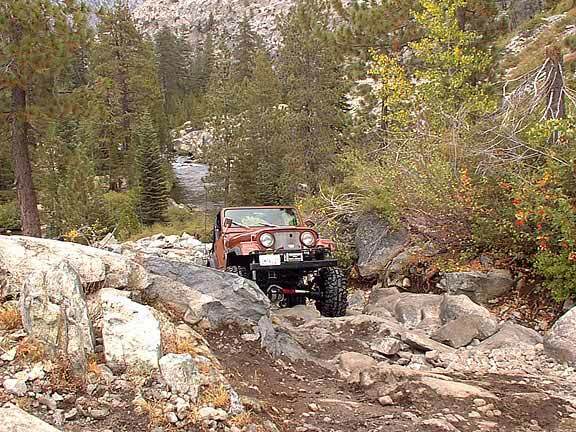 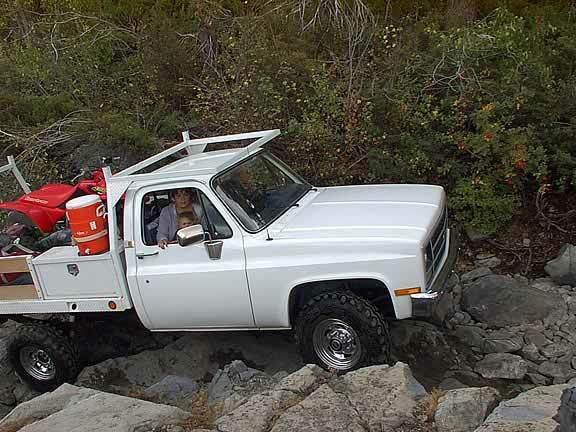 We only drove as far in as the first creek crossing, and from what I gather, the trail just gets tougher with several winch hills on the way to Meadow Lake. 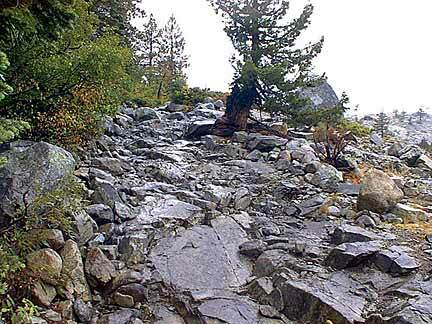 Fordyce Creek is the main trail run for the annual Sierra Trek, a locally hosted trail run that gets a huge turnout. 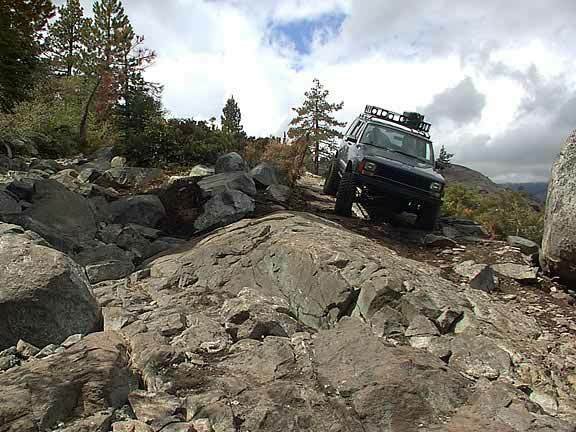 Sierra Trek was run the weekend before we were up there, probably in much better weather. 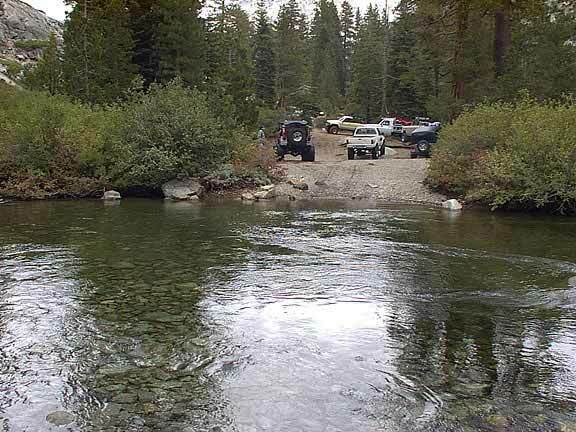 There are great campsites along the creek, and we plan to go back next summer when we have more time to explore.